When you are preparing to send a child off to college for the first time, the listof essentials seems endless and even when you think you have everything you need from backpacks to bedding for college, there is inevitably something you will have missed. One way to stay on top of things is to visit the website of your favorite major bed and bath store where you will find an entire section dedicated to college preparation. Since Bed, Bath and Beyond are pros, they offer a comprehensive list of everything one could possibly need for life in a college dorm, sorority, fraternity or off-campus apartment. The list is an invaluable planning tool. The sheer logistics of getting everything from home to college can be daunting, but when you shop online you can let your fingers do the walking and also, with some proper planning, avoid a lot of hauling. Instead of having goods delivered to your home where you then need to pack them into the car and tote them to school along with your child and all their personal items, have bulky goods like bedding and small furniture delivered directly to the dorm room – your back will be most grateful.If your child is heading off to school by plane or train then dorm delivery is a cost effective option; checking excess and oversize luggage can be very expensive. One great way to haul stuff is in a backpack but studies have shown that many kids seriously overload their backpacks which can cause back strain, shoulder pain and other injuries. It’s a good idea to invest in a new backpack before sending your child off to college, especially if they will be using it to carry a laptop. The OGIO Operatrix Laptop Backpack has integrated foam panels to protect valuable electronics and plenty of storage for other essentials such as a water bottle or mobile phone. Bedding is a big part of dorm life – you want your child to enjoy a good night’s sleep and awake relaxed and refreshed. Typically, the bed and mattress are provided as part of the dorm basics, but you will be required to supply all bedding including pillows. It is important to understand that you probably cannot use bedding you already own since most dorms feature twin extra long mattresses, also known as twin XL mattresses. Conventional twin sheets will not fit on a twin XL mattress, nor will a conventional mattress pad, enhancer or protector. Since the mattress will have been previously used, you will certainly want to invest in a mattress protector or encasementdesigned to repel allergens and bedbugs; it’s also a good idea to get a similar pillow encasement. 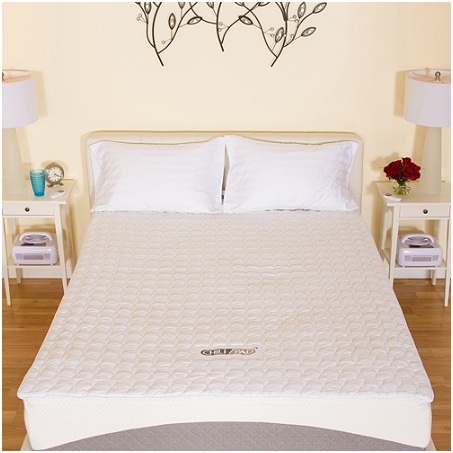 You may also wish to get a mattress pad or enhancer since the mattress may be uncomfortable. Look for good quality twin XL compatible sheets (you can use conventional blankets and comforters, as the fit is not critical); solid colors are generally more practical. Highly adorned bedding which requires dry cleaning, ironing or other special handling is not advisable in a communal living space. If this all sounds complicated, make life easy and invest in a dorm bedding kit – the solid navy Dorm Bedding Kit from BedBathandBeyond.com is a good example of what you can expect to find. The 22-piece set includes a reversible comforter and matching pillow sham, a standard pillow, a support pillow, two three-piece sheets sets, each consisting of a fitted sheet, flat sheet and pillowcase, a mattress cover, mattress pad, a mattress topper, a comfy blanket, two bath towels and two washcloths, two underbed chests for storage, a bedside caddy and a mesh pop-up hamper.